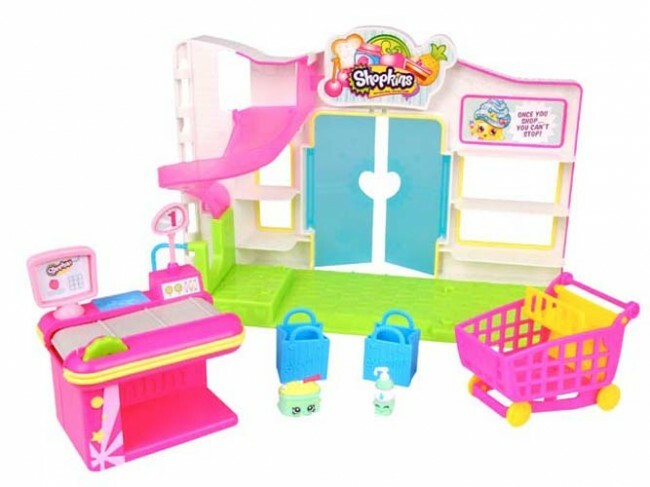 Shop till you drop and build your Shopkins world with the Small Mart Playset ! 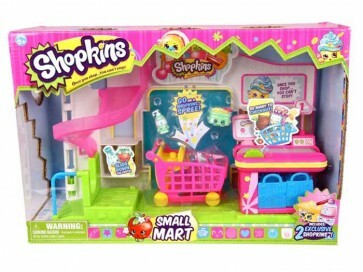 Go on a Shopkins spree and shop till you drop with the Shopkin Small Mart! Slide your characters down the delivery chute and then have some fun on the treadmill register at the check out counter! Complete with 2 exclusive characters and a shopping trolley. Collect them all! 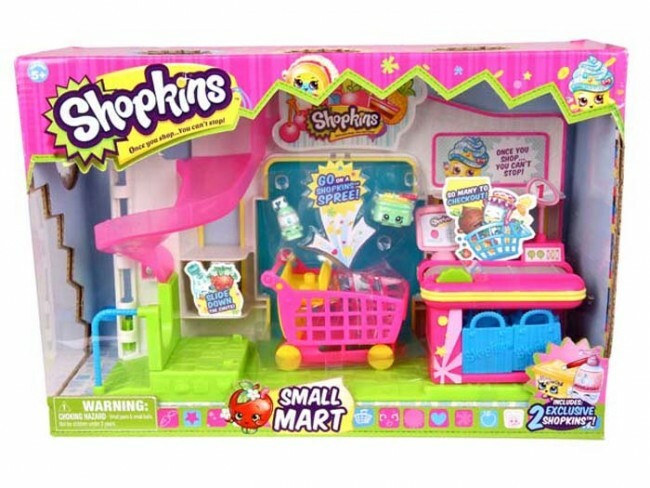 Grab your favourites shopkins character, and put them in the shopping cart. Buy them at the cash register. Put them away in shopping bags, and take them home.